Wealth, fame, power. The man who had acquired everything in the world, the Pirate King, Gold Roger. The final words that were said at his execution sent the people to the seas. Gold Roger: "My wealth and treasure? If you want it, I'll let you have it. Look for it, I left it all at that place!" Men now, chasing their dreams, head towards the Grand Line. The world now enters a Great Age of Pirates! Gold Roger: "Inherited Will, the Destiny of the Age, and the Dreams of its People. These are things that will not be stopped. As long as people continue to pursue the meaning of freedom, these things will never cease to be!" Gold Roger: "The world... Yes! Seek freedom, and your world will stand stretched out before your eyes. If the endless dream guides your spirits, Conquer it! Bear conviction behind your flag!" 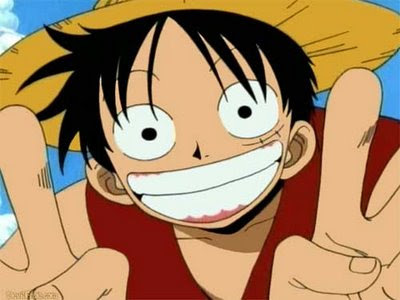 Luffy: "Have you heard of the awesome treasure at the end of the sea? The guy who claims it will be Pirate King! Are you as psyched as I am? There's unbelievable adventures just waiting for us!"